The World’s first Integrated GSM/WiMAX handset is coming… to Russia! HTC announced the world’s first integrated GSM/WiMAX handset – the HTC MAX 4G. Unfortunately, the phone has not yet been slated for introduction in the U.S. market, but instead, it’s been announced with Russia’s Scartel on their “Yota” WiMAX network. As Peter Chou, CEO of HTC Corporation, stated: “The introduction of the HTC MAX 4G represents the culmination of a close partnership between HTC and Yota to develop the world’s first integrated mobile GSM/WIMAX handset”. The HTC MAX 4G is a next-generation device that’s been designed to be fully supported by a wide range of services based on Yota’s Mobile WiMAX network. What it offers is high-speed access to the internet, games, films, TV channels, music, e-books and so on. The phone supports GSM calls via SIM cards from any Russian operator and in case both callers are Yota subscribers, they’ll be able to enjoy the Yota Mobile WiMAX network. MAX 4G features a large 3.8 inch, 800x480 WVGA resolution touch screen display, well-know to us from the Touch HD, a 3.5 mm headphone jack, 5MP camera, Wi-Fi, etc. 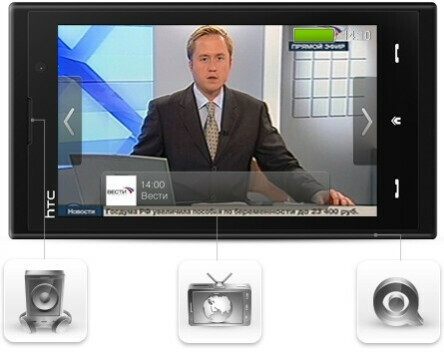 The device is running on Windows Mobile 6.1, incorporating HTC’s TouchFLO 3D interface. 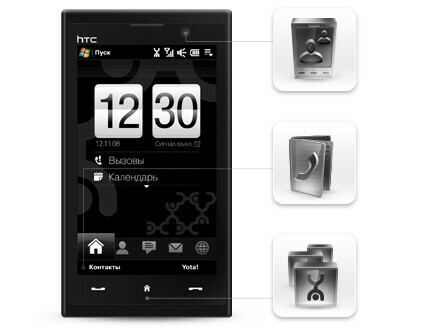 HTC MAX 4G will be available in Russia on November 26th.